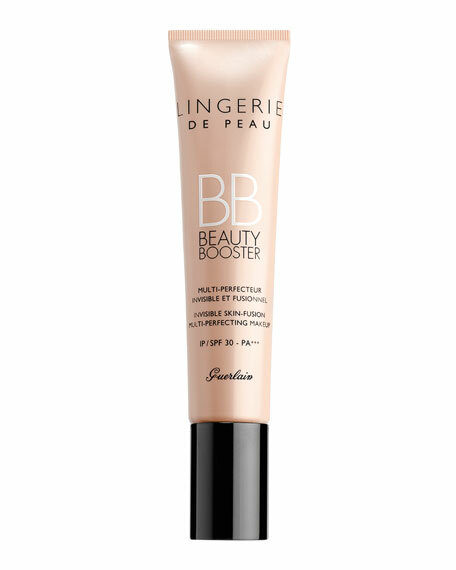 NEW from Guerlain, Lingerie de Peau BB cream is a multi-action skin perfector that offers SPF 30 protection, hydration, color correction, and an even tone through a fresh, lightweight texture. The bio-fusion micro mesh combination of linen and silk fibers creates a second-skin effect to boost the natural beauty of the skin while hyaluronic acid offers intense hydrating properties for a younger looking complexion. Its benefits are proven with staggering results: over 97% experienced fresh and beautiful skin all day long.